The Jaya Tavola Extending Dining table has a top crafted in Maple stained Mahogany with a matt finish. Two extensions can be stored inside the table. 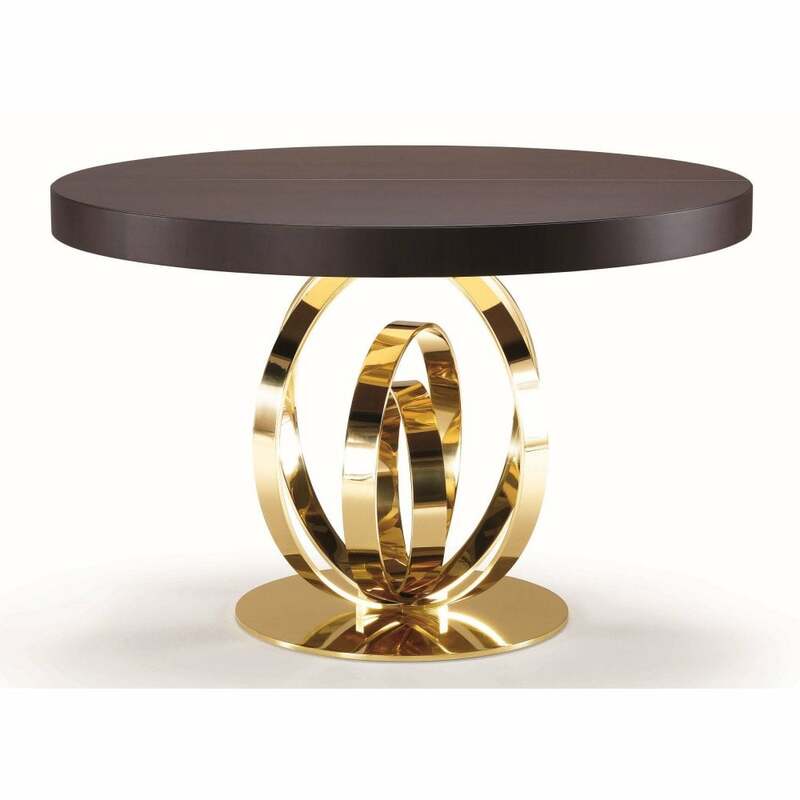 The Polished brass base adds a glamorous element that marries perfectly with the warm toned wood. The considered, extendable design will work in a variety of spaces whether it's a modern or traditional room. Mix with other global styles to create an eclectic yet sleek look. Play it safe by styling with neutral colours and metallic accents or add pops of muted blues, terracotta and burnt orange.